“Some accounts have been frozen through orders of the court. This affects some of the judges. Not all of them. We found some huge lodgements that are questionable in some accounts and in addition to that we also observed the inflow of their salaries over a long period without them making any withdrawal at all. “We are waiting for the action of the NJC. 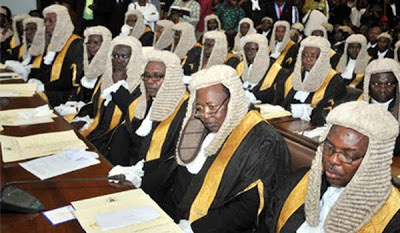 We expect the NJC to suspend them, otherwise it’s like taking a sitting judge to court. In the Service, when anybody is being investigated for any serious crime, the first thing we do is to place such a person on suspension.